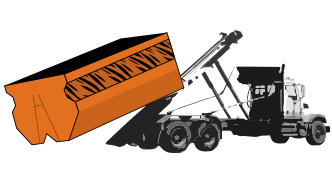 The Tiger Bins Rental System easily allows you to dispose of any kind of waste or junk. 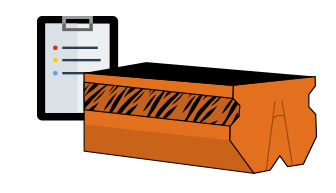 Simply request a quote and indicate the date and number of days that you will need to rent a Tiger Bin. Within 12 hours, a Tiger Bin customer service representative will either email or call you with an estimate for our services and confirm your booking. 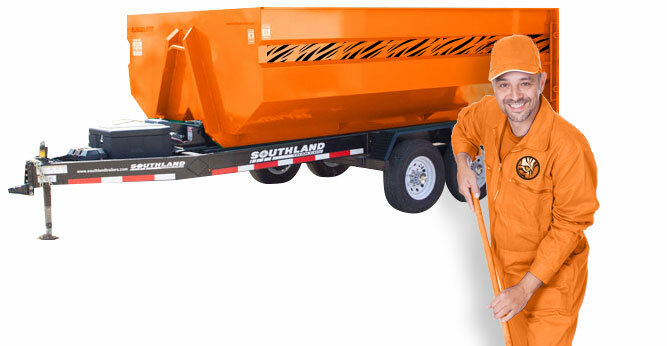 Simply call us to pick up your Tiger Bin and we will take care of all the necessary sorting and recycling at the nearest landfill or recycling center. to guarantee a Tiger Bin for your clean-up project TODAY! No mess, no fuss for you! Dump your junk into a Tiger Bin and we take care of the rest! Tiger Bins feature 14.5 cubic yards/3.5 tonnes of capacity (20% larger than disposal bins typically used for residential and small commercial waste handling applications), full-width rear door access for easy loading and are easily maneuvered to fit on most residential driveways and construction sites, which makes them purr-fect for the disposal of residential junk and commercial construction debris.